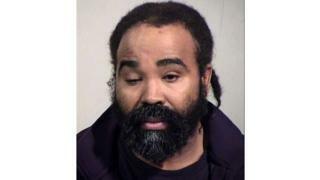 Police in Arizona say they have arrested a nurse after a patient at a care facility gave birth. The suspect has been named as Nathan Sutherland, 36, who worked at the Hacienda Healthcare clinic. He is being charged with one count of sexual assault and one count of abusing a vulnerable adult. The 29-year-old patient, who has reportedly been in the care of the clinic since she was a toddler, gave birth on 29 December. Staff at the facility said at the time that they were unaware she was pregnant until she went into labour. The child, a boy, is now in the care of the patient’s family. After the birth, a police investigation into the sexual assault was launched and DNA samples were collected from male staff. Authorities said Mr Sutherland is a licensed practical nurse who was responsible for caring for the victim during the time the sexual assault took place. He is being held at the Maricopa County Jail. The CEO of Hacienda Healthcare has resigned over the incident, and earlier this week the clinic announced two members of staff had left the facility. The patient’s family have described her as having “significant intellectual disabilities” due to seizures in childhood and say she cannot speak but has limited movement and can respond to sounds. He described the relatives as “outraged, traumatised and in shock” at the assault. Court documents state that the woman is “not alert” and requires a “maximum level of care”, the Arizona Republic reported. At a news conference on Wednesday announcing the arrest, Phoenix Police Chief Jeri Williams said the case had become “the highest priority of our police department”. Phoenix Police Chief Jeri Williams told reporters “good old fashioned police work” led to the arrest. Police are still investigating whether Mr Sutherland – who has worked at Hacienda since 2011 – has assaulted any other patients, and are encouraging anyone with information to come forward. It is unclear whether he was an employee or contractor who worked at any other facilities. Police Sgt Tommy Thompson told reporters the baby is doing well.